Located between the Prince William Parkway and James J. McCoart Administration Building, the Liberty Memorial ​was dedicated on May 9, 2006, to honor those who died on 9/11. The shape of the reflecting pool and walkway recall the 184 lost at the Pentagon. The single stone to the left of that plaque is an original limestone block from the collapsed portion of the Pentagon. The two columns of water represent the 2,749 lost at the World Trade Center in New York City. 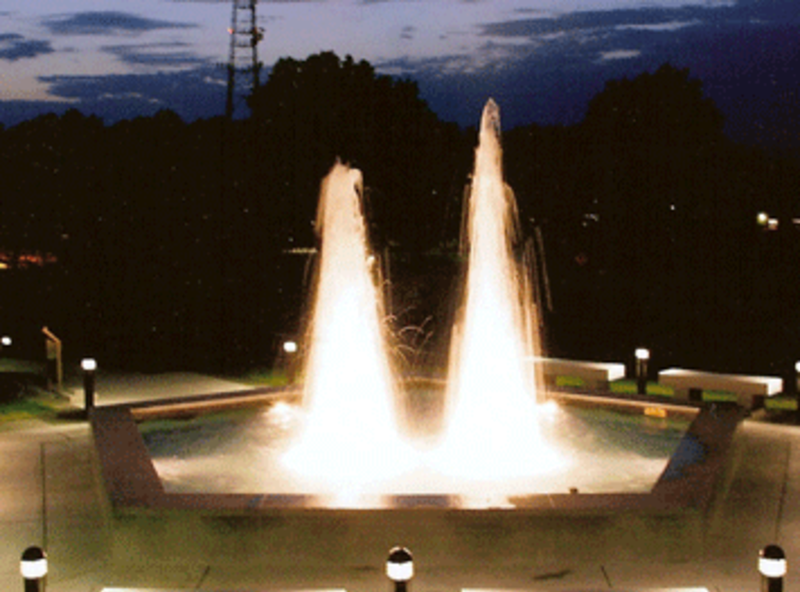 The stone that encircles the fountain is Pennsylvania flagstone, a tribute to the 40 lives lost in Pennsylvania. The flag pole standing at the Liberty Memorial is the flag pole that James T. Lynch, Jr., who was killed during the attack on the Pentagon, erected at his home in Prince William County. Etched into the sides of the reflecting pool are the names of those from Prince William County who died in the attacks that fateful day.